Enchanted Excurse: Is Your Pressure High? Mawnin' Loverlies! Ozeri CardioTech Pro Series Digital Blood Pressure Monitor. That's really all I have to say, but I will say more. 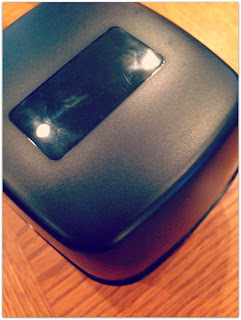 ;) I am always excited when I get Ozeri products, we all know this. lol This blood pressure monitor comes in a cute little compact case. It was also very easy to fit on the wrist. Guess what the most awesome part of this Blood Pressure monitor is. Can you not guess it? no? It has a BRITISH voice!!!! lol It is a British woman. How awesome is that? I just love their accents. Very neat eh? When I put this on it did take me a second to get my arm to the perfect height. I guess i'm a bit ditzy, but my husband put it on and he got his arm at perfect height first time. He should though he's a nurse. lol Once I got my arm to the perfect height, it pumped up like a normal blood pressure cuff. Yes, it was tight. ;) It was very cool though, having a British woman speak to me about my blood pressure. After it is done reading my blood pressure. The voice states if the pressure is higher or lower then what it should be. Of course it states what your heart rate is. This device came with 2 AAA batteries and also states it has a 5 year warranty. When you purchase it, make sure you read the little instruction book. Of course I didn't at first because I was so anxious to use it. But now that I read it I understand how to tell if you have hypertension, and what the screen reads. I don't really have any cons for this device, only that when you put it in the container sometimes it turns on the machine. That can get a little bit annoying, Oh well, it's an easy fix. 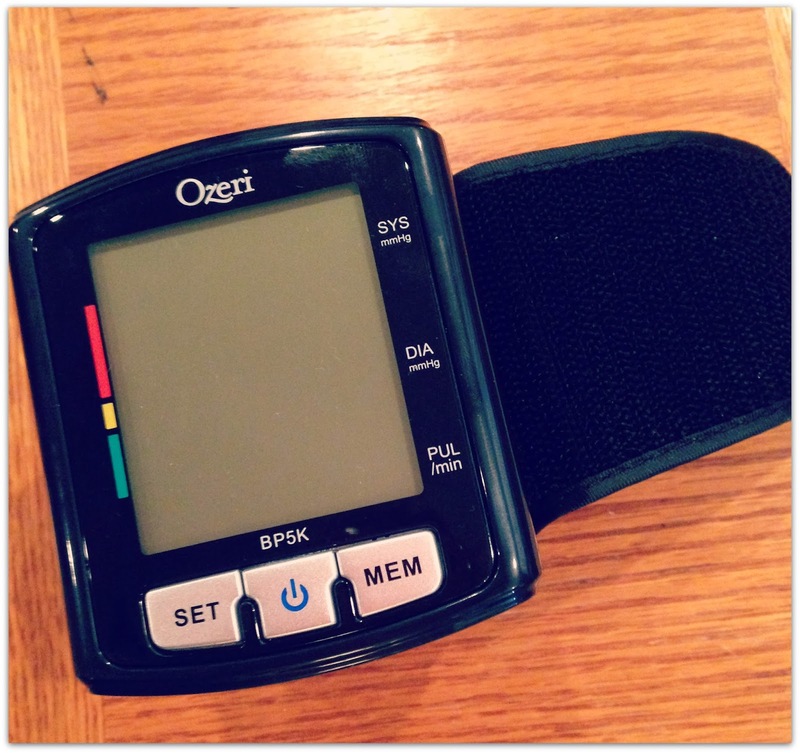 lol To purchase your own Ozeri Digital Blood Pressure Monitor click this link. Ta Ta For Now! 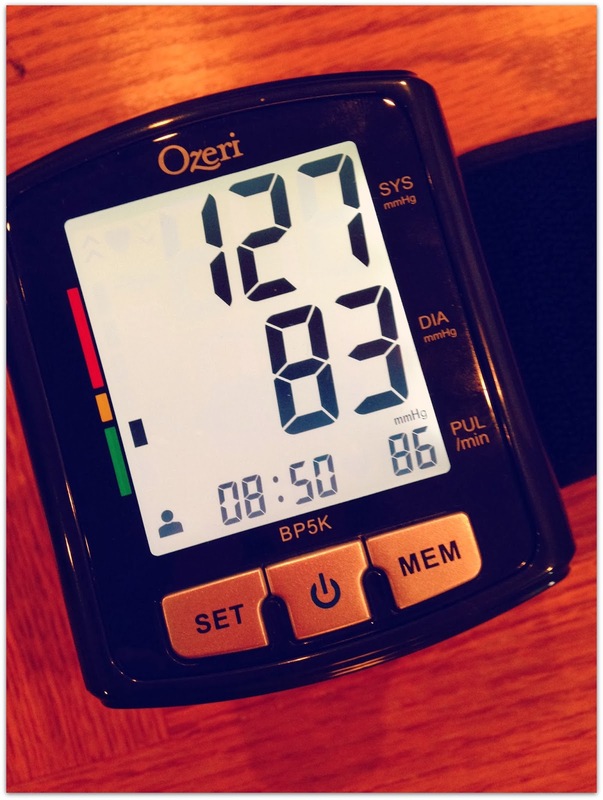 I could have used something like this during my pregnancies because I had so many problems with my blood pressure! Would love one of these! The ease of it is awesome and would make life much easier! Thanks for sharing!